I’m not making new years resolutions this year but yearly goals instead. They might sound the same to you but I feel like there’s so much pressure to keep up with resolutions. Who can honestly stand up and say they’ve religiously kept up their resolutions? Because I know I certainly haven’t. My goals are there to push and remind me to achieve, have fun and be happy this year. Their not here to make me feel bad if I don’t quite manage to do everything! It’s so crazy that I haven’t been blogging regularly since April 2017! I honestly can’t believe it’s been that long. I think my time away has given me time to think about what I really want out blogging. I’d got too caught up in the figures, my content and honestly I doubted if I was good enough to do this. Now I’m happy I know what direction I want my blog to go in. I can’t wait to see what 2018 brings! I’ve wanted to write a book for so long! I’ve been planning for at least two years. I feel like over the last two years I’ve found the confidence to be able to write it! I’m hoping if I mange this to self-publish in 2018. This is one of the most important. I need to plan my time better and not let everything get on top of me this year. It’s ok to take a set back from things that no longer bring you happiness. I’ve already bought so many new clothes and accessories for this year. It’s time to stop thinking too much about what everyone else thinks and dress how I want to not how others want me too. I no longer dress to impress anyone but myself. So here’s to a year of looking fabulous. I did my first 10K last year at Kew Gardens to raise money for the Great Ormond Street Hospital charity. I really really enjoyed it! It was something I never thought I’d be able to do and I’m still so proud. I can’t wait to run some more this year! I did so many amazing things last year! It was honestly one of my best. I took so many photos and it was so nice to put them all in an album because now I get to look back and remember all the amazing memories. This year I have so many exciting things planned I want to take more photos and video everything so I can look back on it. If you don’t know I’m actually really into art and illustration. I just seem to do paintings and drawings and they’ll sit around my room getting dusty. 2018 is the time to finally start doing something with all my art. I’ve been dancing since I was about 3 years old. I’ve been out of it for a while now injury after injury. So I’m determined to get back to classes and back in shape to how I used to be. Honestly I choreographed nearly 100 routines last year so I really want to get back into the studio! It’s so so important to eat healthily and to stay fit. I feel like I slipped up at the end of last year so I’m determined to get back on it. I’ve already been eating healthily again for about a week and I feel amazing. My body is definitely thanking me for it. These these are all my goals for 2018. I can’t wait for the year ahead I have a feeling it’s going to be a good one. I would really like to hear your 2018 goals and what you want to achieve this year in the comments! I have so much on my beauty wishlist this month so honestly I couldn’t wait to get this post up! There was so much on there it took me a good hour to narrow it down. So I’ve picked my absolute favourites for you all off the list. I was trying to save in January but turns out there’s too much beautiful beauty products I want to get my hands on. So if you’re on a spending ban this post is not for you haha. I really hope you enjoyed this post! I’d love to know what’s on your beauty wishlist this month or if you have any of the products above and what your opinions are! Let me know in the comments. If you’ve been following my blog or my social media you’ll no that I haven’t blogged for a few months. The last time I blogged regularly was back in April 2017. I can’t believe it’s been nearly 9 months since I last sat and wrote a post. I feel like I can’t come back to blogging regularly without owing you all an explanation. An explanation to where I’ve been and why I stopped blogging. 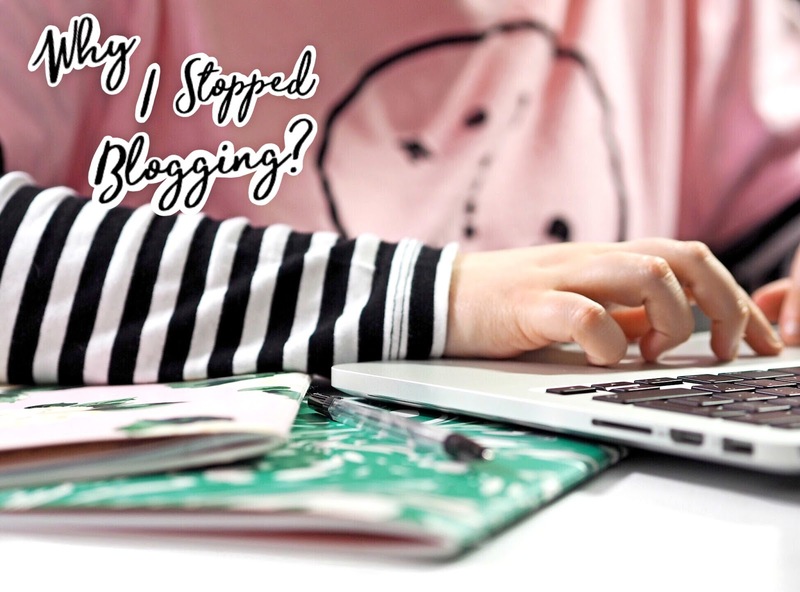 So I thought I’d share all the factors to what stopped me from blogging. The pressure of statistics/views, this was a definite factor to me stopping blogging. I felt like all I saw were other bloggers discussing statistics and views. I felt sort of inadequate because I didn’t have as many views as them at that meant I wasn’t important. All though I know it’s completely not true it’s how it made me feel. I felt myself obsessively checking the numbers to see if anything I was doing was improving my statistics etc. In all honesty it wasn’t healthy and it was then that I started to realise my life had started to revolve around likes, retweets and numbers. I am more than views and social media and there is definitely more to life. Balancing life and blogging, it really isn’t as easy it might sound. I do only work part-time but I was honestly really struggling to find time to do everything that blogging consists of. Unless you’re a blogger I don’t think anyone quite realises all the work that comes with it. 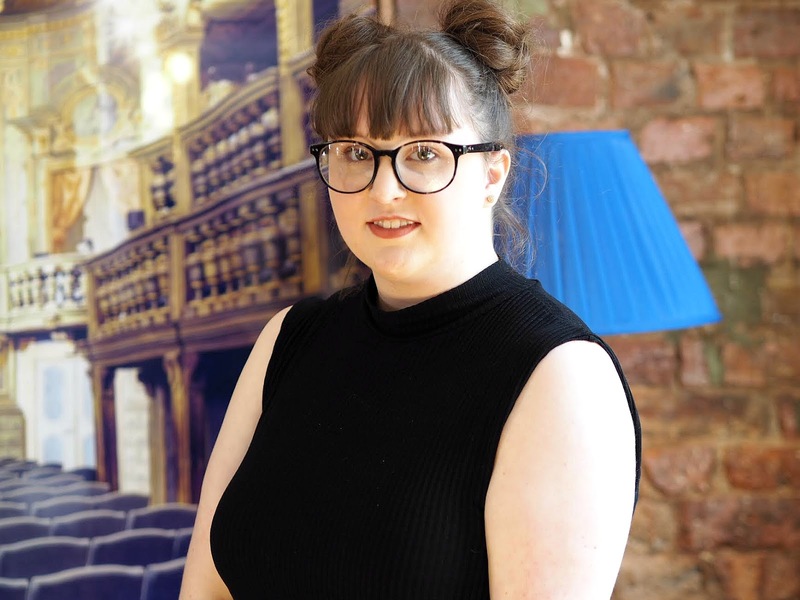 I class my blog as my second job but honestly when I got home from work I just wanted to sit in my pyjamas and binge watch Netflix… Not sit down and do a tonne more work. Now I’ve found a way too balance my time more and honestly I love being busy if anything. The workload is definitely something to consider when thinking about blogging. I’m not putting too much pressure on myself like I used to now. I know I’m not superhuman and I can’t create more time in the day to do things. I just need to plan and organise better! Comparing myself, I compared myself to absolutely everyone about every little thing. I was constantly comparing others successes to my failures. I never took a second thought to my successes because they just didn’t seem good enough. My content didn’t feel good enough and my photography never looked as perfect as everyone else’s. I realise now that it all comes with experience and growth as a blogger but I just couldn’t see that. Not only did I compare everything about my blog I compared myself to other bloggers. Was I pretty enough to be a blogger? Was I skinny enough to be a blogger? Was I not good enough to do this? Although these questions seem pretty stupid now these are genuinely things I used to spend hours considering. I know now that I am who I am and I can’t change that. Everyone has a right to have a blog and be a blogger not matter who you are. There’s no place for my content, I think I got to the point where I was forcing content I really didn’t care about or enjoy writing purely because I thought that was what people wanted. All the ideas I had just didn’t quite seem to fit into the blogger world. I didn’t have a niche for my blog but I desperately wanted one. So I forced myself into a box with no creativity and I regret that more than you imagine. I once saw someone say that it wasn’t about passion it was about popularity in blogging. Well do you know what it really isn’t! And if you think it is I guess I’ve really stopped caring. I want to be happy and passionate about my content and I want people to feel that when they read my posts. I’m no longer trying to be a niche blogger I’m just going to be me. I’m no longer stifling my creativity just to please others. All of this just got on top of me and I honestly just lost my joy for blogging completely. I didn’t get the sense of achievement and happiness that I used to. Sitting down to write a blog post used to feel like a chore. I never want to feel that way again. My time away has given me time to think. It’s given me time to find a more positive and healthy outlook on blogging. I’m so happy to be back; I will be blogging regularly 2x a week maybe even more from now on. Thank you to everyone that helped me gain my confidence back. For boosting me when I really needed it. You made me realise that I am good enough. Thank you to everyone for your constant support of me and my blog. I can’t wait to see what 2018 brings us I hope its a big one. If you’ve ever felt this about blogging or your own blog feel free to start a discussion in the comments. Let’s talk about it! I know it’s only November but I am seriously in the festive spirit. I mean once Halloween’s over you’re allowed to go full out on Christmas right?! I think so anyway. Baking is something I absolutely love and totally something I like to do to de-stress. I haven’t found anytime recently but I decided why not make time and share a quick & easy recipe for you all! 1. Sift flour into bowl and add cinnamon. 2. Rub in the butter to the flour until it becomes a crumbly mixture like bread crumbs. 3. Mix in caster sugar and add vanilla essence. 4. Beat the egg and stir in with the rest if the mixture. 5. Knead until the mixture forms a dough. 7. Preheat the oven to 180°C/Gas Mark 4. 8. Roll the dough and cut into preferred shapes on a floured surface. 9. Grease baking trays and put biscuits in the oven. 10. Cook for 12-15 minutes until golden brown. And there you go that’s how to make yummy cinnamon biscuits. It’s entirely up to you if you want to decorate them or not. I guarantee you could probably do a better job than I did… I knew there was a reason I hadn’t applied for the Great British Bake Off! Get as creative as possible but if you’re stuck there’s always Pinterest for ideas. If you recreate this recipe make sure to tag me on Instagram or Twitter and let me see your creations. So festival season is upon aka my favourite season of the year! I get so super excited every year when all the festivals start because I love everything about it. 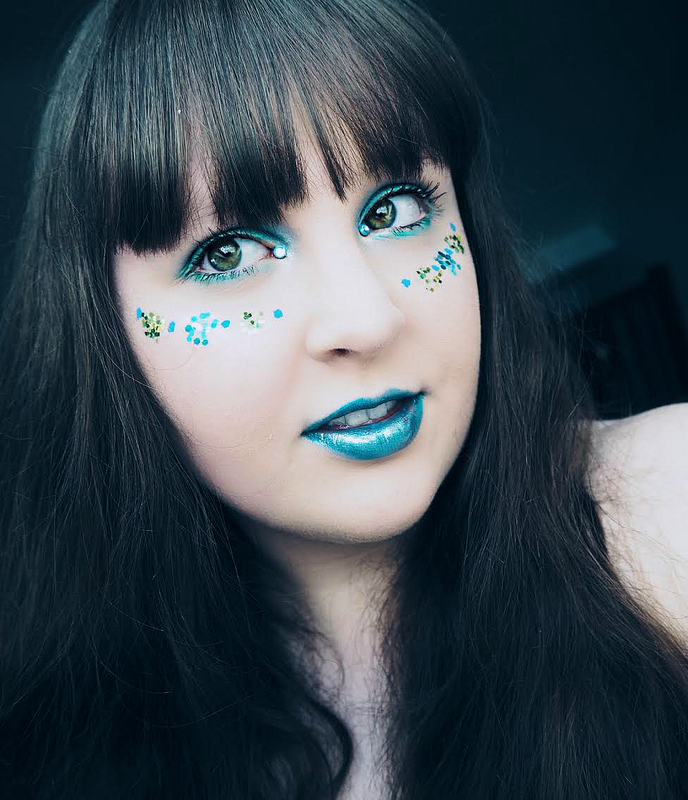 The glitter, the clothes, the makeup, the music…. EVERYTHING haha. It’s currently Coachella and I’ve been seeing so many photos to inspire me for this years festival looks. Seriously everyone is looking amazing this year! I thought I’d share this look with you which actually turned out way better than I expected. I kinda fell in love with this look because I literally felt like a mermaid. 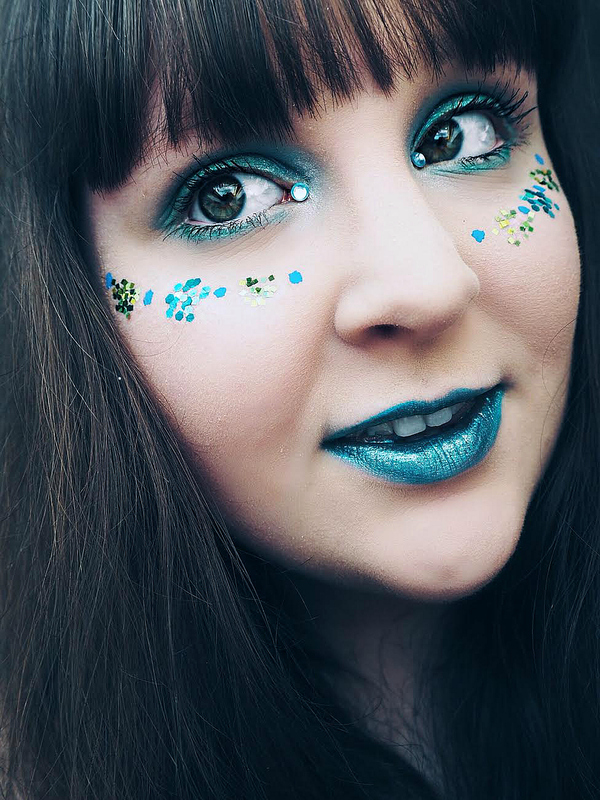 I think this is perfect for a festival when you can go a bit crazy with your makeup! I’ll include all the products below if you’d like to re-create this look. I really hope you enjoyed this post! They’ll be a lot more festival related posts coming up soon. Let me know in the comments if you’re going to any festivals this year… I’d love to know! 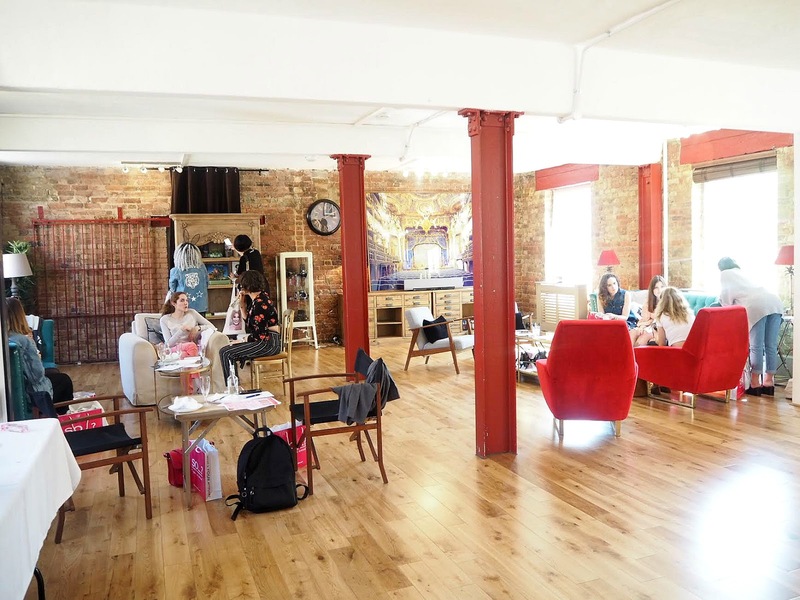 So I recently went to Blogosphere Cafe hosted by Blogosphere Magazine. It was a gorgeous sunny day in London which instantly put me in the best mood! I’d arranged to meet up with Julia, Jess & Holly in Westfield Stratford City before the event. Make sure you check out all of their blogs because they’re all amazing! No doubt Westfield was my idea but you can’t take the shopping out of a shopaholic haha. After getting into London Euston I took the tube over to Stratford and met up with Julia first. We immediately went to the Missguided store which I was way too excited over haha! Then Jess joined us and we did some more shopping before heading over to Southwark on the tube to meet Holly. We met Holly and headed over to The Gallery, Lumiere London. The last event which was Blogosphere Valentines Tea Party was in the same venue. Stupid me thought I still remembered the way even though I have absolutely no sense of direction at all haha! I definitely took us the wrong way and we ended up looking at maps on our phones… Which didn’t really help because I can’t read maps either haha. We did finally get there though! The venue was absolutely lovely we’d been in the Tropical Library last time but this time the event was being held in The Gallery. It was so lovely and spacious. Also the whole place was totally instagrammable…. I was loving it haha. We started off with a little ice breaker activity which was fun. We had to go round and find what people blogged about and add them to the sheet we were given. It made starting conversations a whole lot less daunting and I really enjoyed. I always find meeting other bloggers so inspirational. I love seeing people talk about their blogs and writing with such passion. We were offered prosecco, soft drinks or tea and coffee. Plus there was snacks available too! 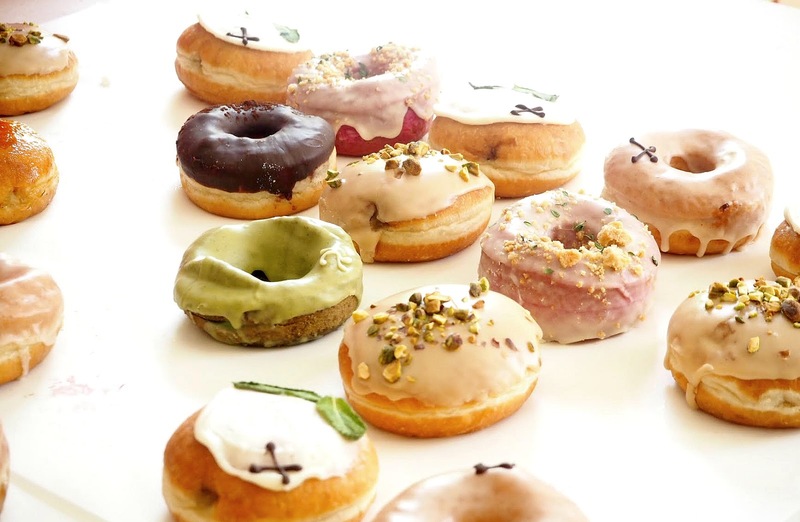 How good do these donuts look. I don’t know how I managed to resist not eating one haha. I also got a change to speak to everyone at So…? Fragrances again which was so lovely. I was lucky enough to get to have a look at all the new body mists that have been added to the collection. Pink Grapefruit is my absolute favourite! Definitely go and check out the body mists they are perfect for your handbag in spring and summer. They are available form both Boots & Superdrug. It was such a good day and completely chilled. I really enjoyed it and I’m so happy to have met new bloggers who I’ll hopefully see again soon. Thank you to everyone at Blogosphere for organising the event. I always have the best time and I can’t wait for the next event again.